Spectro-analytical techniques are used to remotely monitor specific substances in the atmosphere, including gases that are important for assessing climate change and pollution levels. The accuracy of these measurements relies on ‘spectral line data’. In particular information on the changes of spectral line properties with temperature, pressure and composition. The HITRAN and GEISA databases are two of the best known and most extensive resources for spectral line data containing several million data sets that include molecular line strengths, pressure broadening and line shift coefficients, ground state energies etc. for tens of molecular species. These databases together with line by line codes allow for atmospheric absorption spectra to be modelled and used to underpin significant parts of the global atmospheric monitoring efforts based on satellites, balloons, air planes and ground based measurement stations using instruments like LIDAR, FTIR etc.. 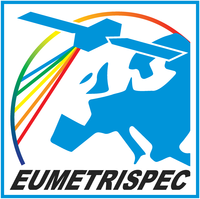 The availability of highly accurate spectral data is essential for a qualitative and quantitative understanding of spectroscopic instrumentation as well as for modelling of radiation transport in atmospheric sciences and in many other scientific fields. Whilst the databases have been put together in an impressive long-term effort, with great expertise from diverse sources and have served the community well, measurements of atmospheric molecular species based on these data are often inaccurate due to a number of metrological issues. These include a lack of information on the comparability of the retrieval algorithms or measurement conditions during the determination of spectral data as well as missing or incompletely stated uncertainty of the measured gas pressure, gas temperature, effective absorption path length, path homogeneity or gas composition (including isotopic ratios). The consequences of a lack of information can result in large errors in atmospheric sciences, climate modelling and data retrieval, of which there are many examples in the literature. The JRP will address these deficits by establishing, in a joint metrology effort, an European spectroscopy infrastructure enabling traceable measurements of spectral line data under well controlled conditions.